It’s important to review your current background screening program at regular intervals, focusing on any adding new products that may enhance your current packages. In Part I: Criminal, we discussed the various options to expand your criminal background search scope. Possibly even more difficult than uncovering a criminal past is the resume verification. Omissions are often undiscovered and assumptions can lead to hiring of under-qualified applicants. Most people don’t disclose conflicts with a manager or loosing that big contract on their resume; they want you to see their achievements and value. Similarly, memorizing law textbooks to act accordingly does not an attorney make. Two thirds of people don’t embellish… it’s that remainder that worries us as hiring managers. The extent of exaggeration could be outright lying to creative wording where the degree of “lying” is up for interpretation. Resume verifications help uncover the truth. Employment: Review the SSN Trace or Verified Enhanced National Criminal results for missed former employers; verify a 7 year employment history. Education: Verify education whenever it is relevant to the position – new applicant or a promotion – unless previously verified. 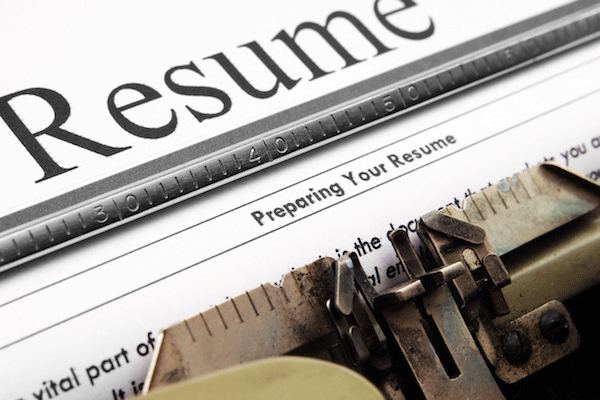 Employment Verification – You wouldn’t guess that your well-spoken applicant isn’t eligible for rehire and only worked 5 of the 18 months listed on their resume... unless it was verified. Egregious exaggerations are probably few and far between, but those who use them probably also know how to sell them… Verifying employment carries a significant amount of weight when done properly and professionally; increasing the chances you hire a very qualified candidate. Years ago, if an applicant didn’t disclose prior employment, you wouldn’t know. Now, with the Verified Enhanced National and SSN Verification, you can retrieve work history when it has been tied with the applicant’s credit, aka the bank verified employment for a loan. Comparing these results with the applicant’s resume can help lead conversations about “missing” employers so you can decide if additional employment verifications are needed. Education Verification – Most people don’t carry around a copy of their degree, but if the registrar can’t find the applicant, we may ask for a copy. Degree Mills give dishonest people the confidence they need to fabricate an education. Working with skilled researchers who are familiar with fraudulent degrees has infinite value. Even if the applicant doesn’t go to the extent of a fake degree, they may assume it’s OK to claim a degree despite being a class or two short of graduation. Furthermore, verifying a license while assuming education criteria must have been satisfied opens the door to under-qualified applicants with a talent for document forgery. A quick Google search of Frank Abagnale (the real-life Leo DiCaprio’s Catch Me if You Can), Scott Thomas (of Yahoo Ex-CEO fame in 2012), and Marilee Jones (who resigned after 28 years at MIT after achieving Dean of Admissions) reveals some of the high profile cases of resume fraud. Similar to criminal searches, it’s essential that a consistent policy is implemented and effectively utilized by all employees submitting your background checks to Choice Screening. Clearly communicate the new search scope and practices with your team and talk to your legal counsel any time you’re unsure. Now that we’ve discussed expansion of products of which you are already familiar (criminal records and verifications), we will move on to re-screening and catch-up screening - namely, the Choice ReScreen. You’ll quickly see how a strategic implementation and communication plan will tie into our established theme of compliance and consistency.